the easiest and best idea for party games is to go ENJOY the outside! Or, if you are creative and artistic, fill a spray bottle with water and a few drops of food coloring. 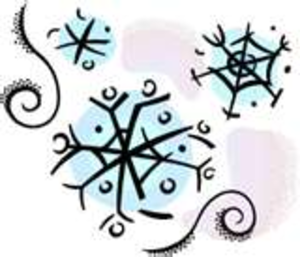 Now spray the snow to create fun, artistic designs. Use different colors for full effect and make yourself a Mona Lisa! If the weather isn't as cooperative, there are still lots of games you can play inside. Take many of your childhood games, and adapt them to Snow themes. You can find lots of coloring pages and word search games on line. Print them off for a good ice-breaker opener as guests arrive at your party. Play "Pin the Carrot on the Snowman". Make a Snowman face (without the nose) on a large piece of poster board. Cut out different carrots and let each guest try and pin the nose in the correct place while blindfolded. Have an "Indoor Snowball" fight. Have each team make a cardboard fort out of a big box. Use ping pong balls as snowballs. Each team must throw their snowballs into the opposing team's fort without the ball touching the ground. If it does, it's forfeit. The team with the most balls inside the other team's fort is the winner.